Immunohistochemistry is a technique of histology aimed at locating a target protein in a tissue. There is also a derived technique, immunocytochemistry (ICC) which has the same principle but aims to localize a given protein in isolated cells. 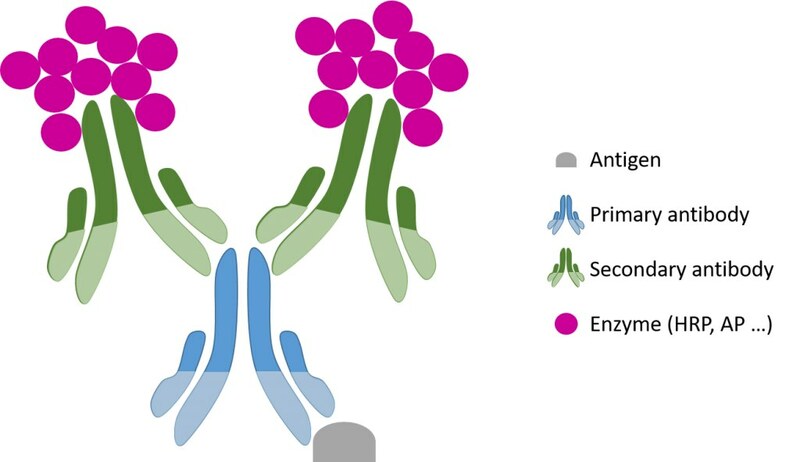 It is important to choose the appropriate combination of antibodies and the correct detection system in order to obtain the best possible results depending on the sample and the target protein. We propose kits for the 2 main methods used for detection in immunohistochemistry: the ABC method which uses an Avidin (streptavidin) / Biotin complex and the method that uses enzyme polymers to amplify the signal.